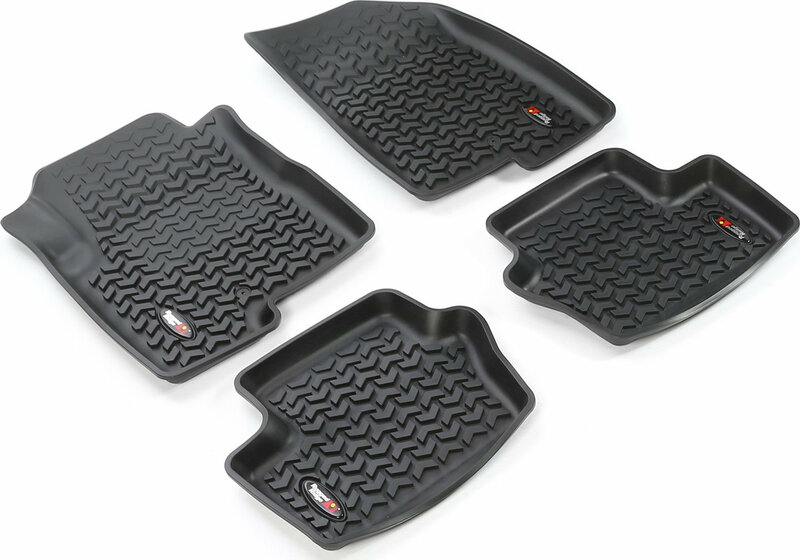 Rugged floor liners from Rugged Ridge. Precision engineering using state of the art technology ensures an exact fit to the shape and contour of your vehicle's floor. The deeply molded Chevron-shape tread pattern channels dirt, mud and snow away from the driver to keep shoes and pant legs clean. It also contains the movement and sloshing around of any trapped water. The high perimeter wall offers a large footprint and maximum interior protection and containment.